Backflushing is an important piece of maintenance that should be done regularly on many Espresso Machines. The process of backflushing forces water and cleaner back through the systems over pressure valve to remove any build up and keep the valve in good working order. Backflushing should be factored into a regular cleaning regime for your espresso machine, typically in a home setting a backflush without any cleaning chemical should be done once a week. Then every 200 shots of coffee a thorough clean should be done with the appropriate Espresso Machine Cleaning tablets or powder. We like to use Cino Cleano, but a quick search online will provide you with many reputable alternatives. If you are based in a commercial setting then a backflush using cleaner should be performed once at the end of each business day, you may choose to backflush during the day without chemical depending on your volumes. Not all Espresso Machines are capable of being backflushed so it is important to know whether your machine has this ability before trying. Espresso Machines must be fitted with a 3-Way Over Pressure Valve to be able to backflush. Many entry level consumer machines are not fitted with these and you often need to move into higher end home espresso machines to get this feature, check your manual or with the manufacturer if you are unsure about your particular machine. The purpose of this valve is to limit the overall pump pressure that your machine can apply during an extraction, it also removes the excess pressure and moisture at the end of the shot helping to avoid a ‘soupy puck’ making it easier to remove from the portafilter. Over pressure valves also perform the important duty of protecting your machine from being damaged by excessive pressure. For example if the coffee is too fine and it chokes your machine, rather than continue trying to build up pressure it will release through the valve to prevent damage. The process of performing a backflush is fundamentally the same for all machines, however the exact process will vary between each. Refer to your operating manual for the exact process. To begin, ensure your coffee machine is powered on and at brewing temperature. Check the amount of water and fill with fresh filtered water if necessary. At this stage you should also ensure that the drip tray is empty. Locate the blind filter, this will be a blank basket that you can insert into your portafilter. For some manufacturers they provide a blank rubber disk that will perform the same function. Place the blind filter into your portafilter. If you are performing a thorough clean, measure out the necessary quantity of chemical and place it into the blind filter. 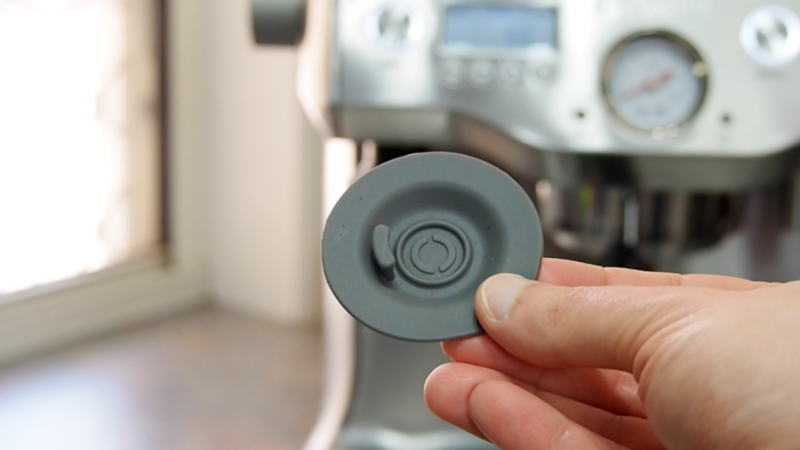 Insert the portafilter into your machines group as if you were to start brewing a coffee shot. Enter the programming mode for your machine, if your machine is fitted with a menu it will be located within here. If not, you may have to perform a series of button presses to activate the cleaning mode (see your manual here if unsure). Once you activate the cleaning mode, you will hear your machines begin to cycle the pump on and off. This is forcing hot water into the filter, dissolving the chemical and as it cycles it will force this back through the over pressure valve gradually flushing it all through. Once this has completed, remove the portafilter and ensure the chemical has all been used. You may need to perform the clean cycle again using the left over cleaner if it hasn't all dissolved. 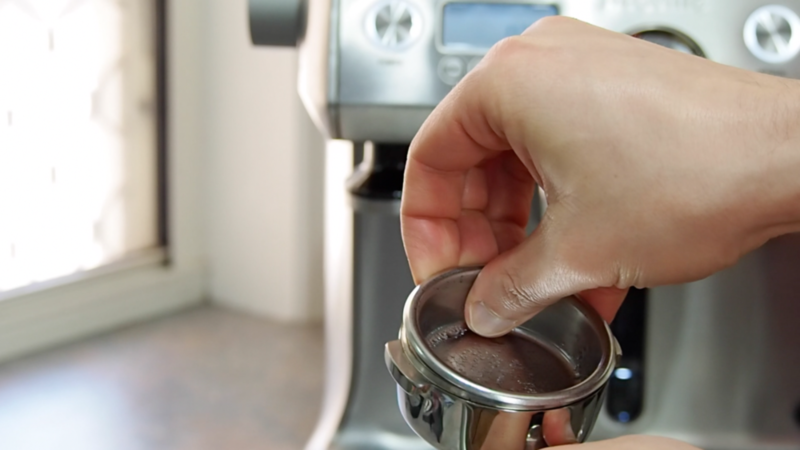 Ensure that you rinse the portafilter thoroughly before you brew with it again. Your machine is now completely backflushed and ready for another round of great espresso!